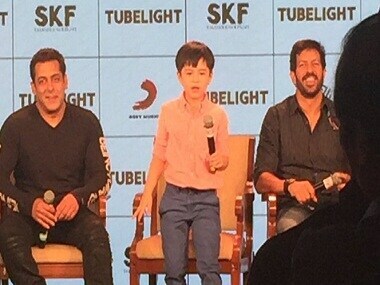 Days before the release of his next, Kabir Khan's period drama Tubelight, Salman Khan introduced to the media child actor Matin Rey Tangu, with whom he will be seen sharing the screen space in the film set during the Indo China War in 1962. While Tangu was at his sassiest best in the press conference and surprised everyone in attendance with his witty answers, they were more taken aback by a female journalist who put forth a rather interesting question. Initially, Matin, who is from Arunachal Pradesh, ignored the question. But when the journalist kept repeating herself, he had to retort with all his childlike fury. Though the journalist changed her question to "kya aap pehli bar Mumbai aaye ho?" (Is it your first time in Mumbai) but it was too late. "Hum India par hi rehta hai toh India me hi ayega na," (I live in India so obviously it's not my first visit) Matin shouted, as Salman and Kabir laughed uncontrollably besides him. Her question met a befitting reply, as other journalists also applauded Matin's answer minutes after expressing their shock at the lack of professionalism on part of the female journalist. 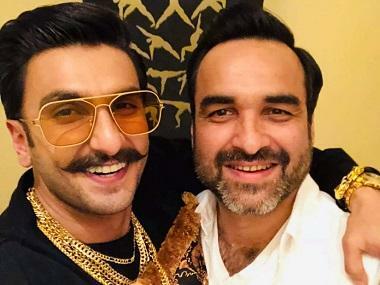 While the incident was laughed off, the video went viral on social media within hours as people started questioning the state of journalism today. They wondered why such an insensitive presumption superseded a background check. Many even named and shamed the journalist on Twitter. Tubelight also stars Chinese actor Zhu Zhu, the late Om Puri, Sohail Khan and a cameo by Shah Rukh Khan. 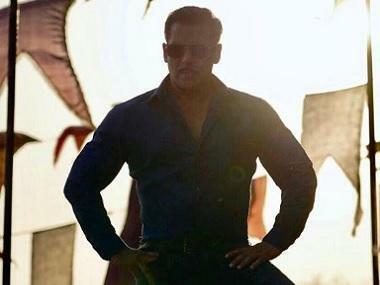 It is co-produced by Kabir and Salman Khan Films. It is slated to release on 23 June.